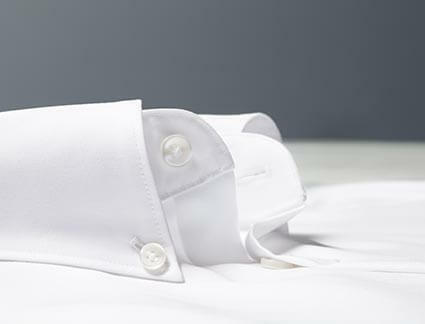 If there’s one item of clothing that absolutely must be present in every man’s wardrobe, it’s a well-made white shirt. The white shirt is the ultimate multi-tasker; a simple yet versatile garment that works in any social situation. White shirts can be dressed up or down and worn at any occasion from business meetings to weddings, casual lunches, or garden parties. This really is an all-purpose item, so having a good white shirt on hand is a wise choice for any gent. You get what you pay for when it comes to material, so be wary of cheaper shirts that seem too good to be true (they probably are). For the strongest and most breathable fabric, you should always choose a shirt in 100% cotton. Invest in a white shirt of good quality fabric and you will be rewarded with a garment that is longer-lasting, comfortable to wear and more durable. Tyrwhitt shirts are made with meticulous care and attention to detail, using 100% cotton. Even our non-iron shirts are pure cotton. This makes them crisp, smooth, and luxuriously soft against the skin. Our white poplin shirt is the king of our white shirt range. It is strong but lightweight, combining both luxury and durability, and it looks seriously good worn under a suit. But the marvel of this shirt is it’s also perfect as a standalone staple outside the office. The closely woven cotton provides a dense opacity, and makes this an impressive shirt that will retain its shape and look sharp wear after wear. As well as fabric, it’s important to look at a shirt’s cut to ensure anything you buy fits you properly. 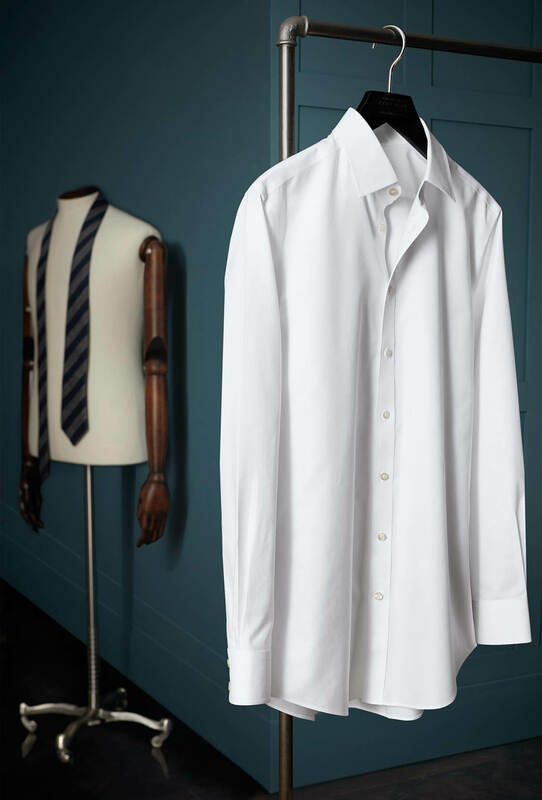 Our men’s white shirts come in four different fits, so you can find the right size every time. Classic fit- a generous, comfortable fit with longer tails, great for anyone with a broad build. 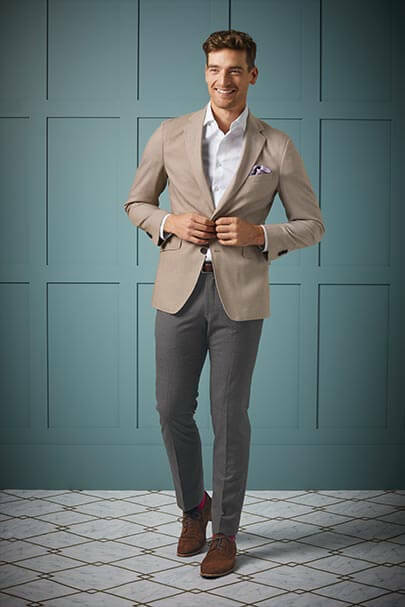 Slim fit- a modern, tailored fit, suitable for most men. Extra slim fit- fitted for slim gents who want a sleek and contemporary silhouette. Super slim fit- our more fitted shirt to date, with a slim, modern silhouette ideal for slender body types. A white shirt is always perfect for the office, whether worn underneath an elegant navy suit, or paired with business casual chinos and a dapper tweed blazer. Dress up your white shirt with a vibrant silk tie and a well-tailored jacket and you’ll always look stylish. 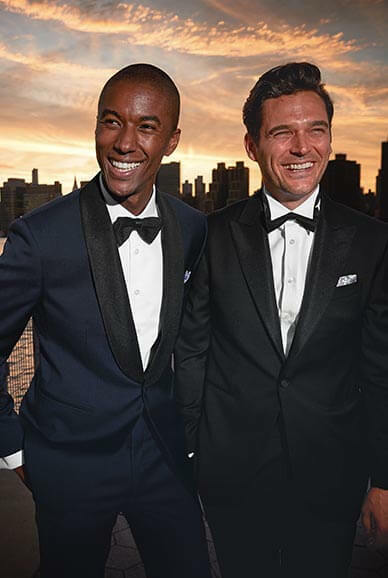 At the most formal end of the scale, the white shirt comes into its own at black or white tie affairs thanks to extra details such as detachable collars, double cuffs and a wing collar. We recommend adding studs and matching cufflinks for traditional flair. The marvellous thing about a white shirt is that in addition to looking professional, it also has the ability to meld into your casual wardrobe. Simply roll up your sleeves, keep the neck open, and pair your white shirt with denim jeans or cotton chinos. Button-down shirts and washed Oxfords are some of the most popular white shirts in our casualwear range. If you are ever unsure what to wear to an event, start with a clean white shirt. It’s the greatest building block on which to base your sartorial choices. Whatever the occasion, wherever you may be, a white shirt is never out of place.